Join us @ the Fairville Fun Fair! Join us for our annual Fun Fair on Saturday, May 4th from 11:00 am to 3:00 pm. Held on our school grounds, Fairville's Fun Fair is especially great for families with toddlers, preschoolers, and young children. Enjoy pony rides, moon bounces, and cookie decorating. Dig for treasures in a giant sandpit, engage in age-appropriate arts and crafts, even climb aboard a tractor! The Fun Fair also offers live entertainment. Delicious, healthy lunch fare will be available for purchase. The Fair is open to the public with no entrance fee; modestly priced tickets are available to participate in the activities of your choice. In case of rain, the Fair will be held on May 5th at the same time and location. Saturday, MAY 4th! Click here to add the Fun Fair to your calendar! WE ARE SO VERY GRATEFUL FOR THE SUPPORT OF THESE GENEROUS SPONSORS. PLEASE GET IN TOUCH IF YOU WOULD LIKE TO SUPPORT THIS COMMUNITY EVENT! There's fun for everyone at the fair! Jump around! We’re offering 3 Moon Bounces—including a dedicated toddler bounce—from One Stop Party Shop. Yee-haw! 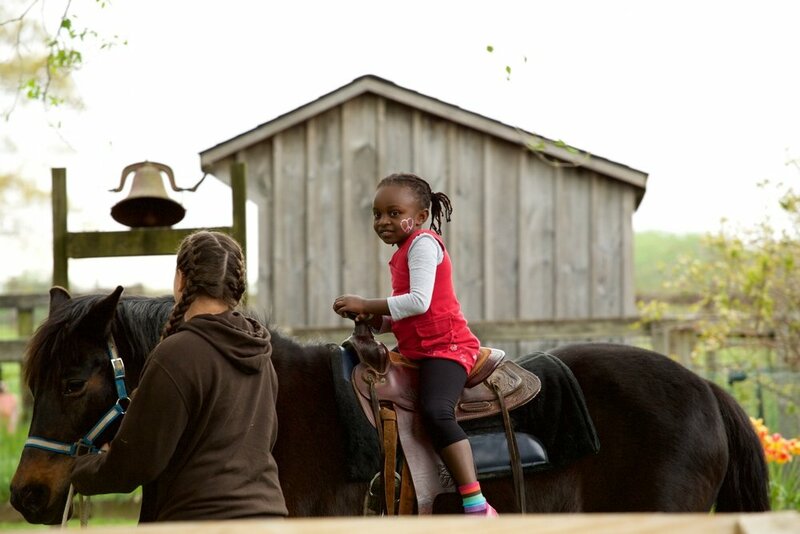 Saddle up for Pony Rides from Cozy Quarters Farm. Here piggy, piggy…meet a friendly ducks and goats! Learn about the natural world with a reptile and amphibian live-animal display from the DE Nature Society. Buzz Buzz.... Learn more about honeybees with a hive demonstration from Fairville's own Sun Bear Apiary. Touch a truck! Climb aboard the Fire Trucks from Longwood Fire Company. Lions, butterflies, and bunnies...oh my! Transform yourself with Funny Faces Face Painting. Win prizes playing Fun Fair Games like bowling, beanbag toss and more! Decorate a delicious taxi cookies. Get crafty! 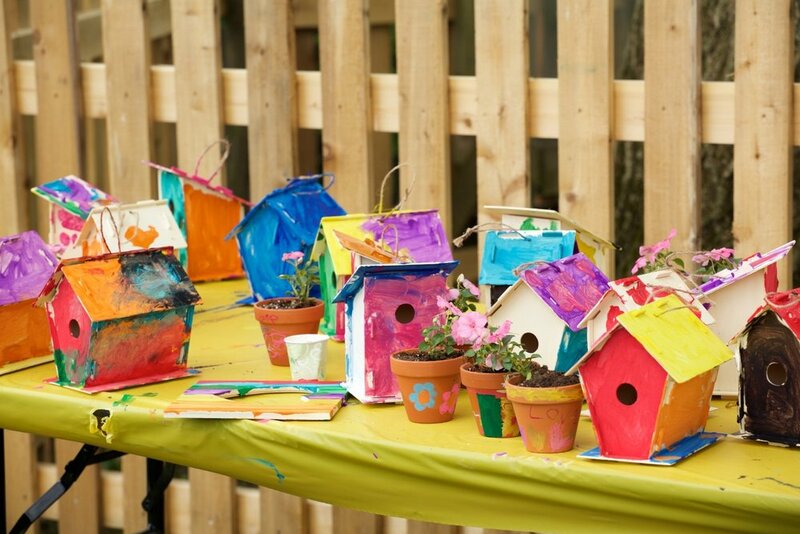 We've got bird houses and frames to paint, cars and wind chimes to build. 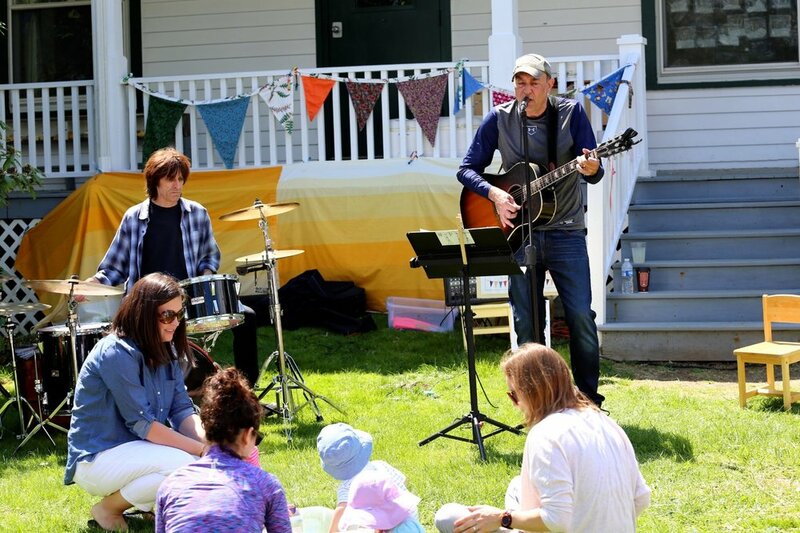 Join the dance party with family-friendly live music from We Kids Rock. All that fun making you hungry? Enjoy a delicious lunch at the Fair, including plenty of healthy and vegetarian options. Healthy, nut-free, adult- and kid-friendly options will be served at our lunch tent. Enjoy your lunch at one of our picnic tables or gather around a hay bale before returning to the fun. Swing by our Snack Tent to refuel with quick bites and cold beverages! 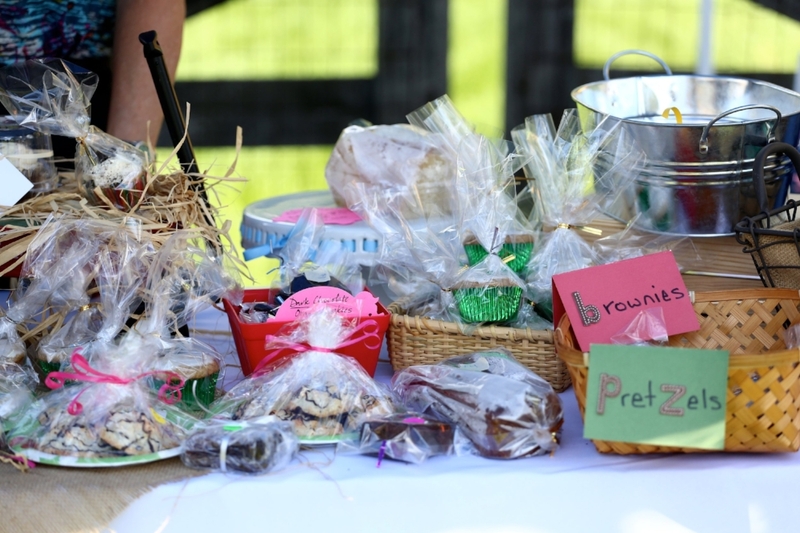 Make sure to stop by our bake sale and check out our delicious treats! And many thanks to these sponsors as well, for their generous support our Food & Snack tents! The annual Fairville Fun Fair is held on the grounds of Fairville Friends School.